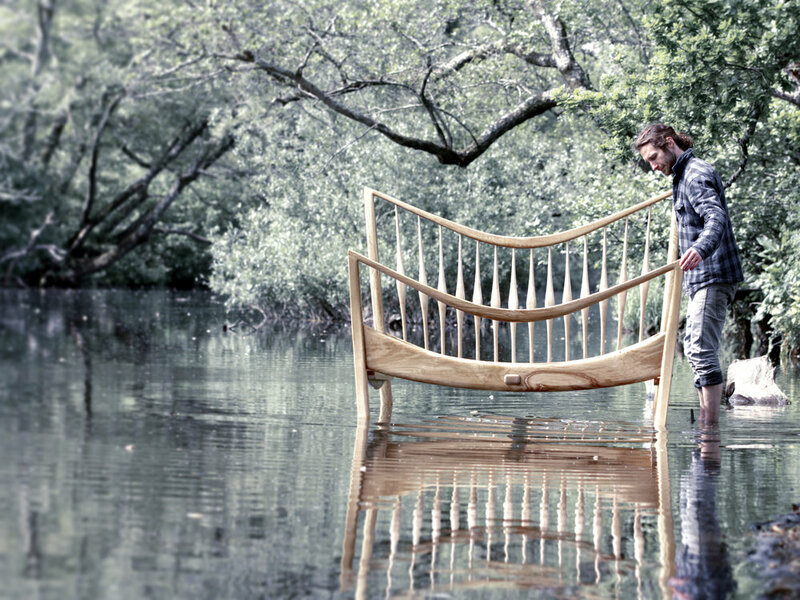 Lomas Furniture is a creative woodshop situated deep in the Devon countryside and is run by Rodney Lomas. Being where we are and working so closely with natural materials it's impossible for us to not be inspired by our surroundings and the beauty that resides in nature. It guides the very work we do. We consider ourselves incredibly lucky to be in this part of the world and also part of the local woodland communities and sustainable wood suppliers nearby. With Rodney being a trained tree surgeon, we also have the amazing ability to go into the woodland and choose a specific tree for a project. Of course, this isn't practical for every project because of the time it takes to prepare the wood for use, but this bigger picture, longer term thinking is at the core of our philosophy. We strive to work with the tree, to tune in and allow it to guide us, to unlock the furniture or piece grown within the very tree itself. This way of working means we use parts of the tree often discarded by others which results in very little waste. This process is incredibly rewarding and leads to each piece having its very own unique characteristics. No two pieces are exactly the same. Every tree has its own story and by commissioning a piece of Lomas Furniture you get to become part of that trees continuing history. Each Lomas piece is guaranteed to be one of a kind. Rodney learnt furniture making at the centre for fine woodworking in Nelson, New Zealand. Whilst there he was was taught to have an open mind and pay attention to the details. This mindset, coupled with his understanding of trees from working as a tree surgeon, led to his unique style and ethos. Rodney's ambition is to make beautiful furniture that inspires a connection to the natural material. To create something unique, finished to the highest standard in woodworking and design. But most importantly, honouring the tree from which it's made.